Located at 182 Weber St. N. (Behind Speedy Autoglass) we are the premiere billiard hall in Waterloo Region. 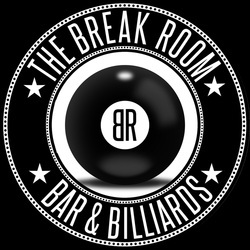 We have 12 Brunswick Gold Crown pool tables, 4 dart boards, 2 huge projection screens and a fully stocked bar. Drop by and check us out. We're "Only a Break Away." Ladies portion of the billiard total is free of charge. Not valid with any other offer.